Although Gambit does not have any children at present, a few of his descendants have appeared in titles set in the various alternate futures of the Marvel universe. First appearing in the 1990s, X-Men 2099 was part of Marvel's imprint that explored the future of the Marvel universe. By 2099, North America had become a cyberpunk dystopia, similar to the societies presented in Blade Runner or Neuromancer. It was a corporate police state ruled by large corporations, including Alchemax and Stark-Fujikawa. Much of the interest of the imprint came in seeing future versions of existing heroes, who obviously were different individuals living in a very different world. Among these were the X-Men, who counted among their ranks mutants such Cerebra, Xi'an Chi Xan, La Lunatica and Meanstreak. In X-Men 2099 #26-29, the X-Men fought against the Undead, intelligent zombies who had been reanimated by the Graverobber Zail Haddad and who had no choice but to do his bidding. In X-Men 2099 #28, it is explained that their corpses had been stored in a bioprocessing facility in New Jersey presumably for the purposes of research. Zail Haddad discovered these corpses and brought them back to life using his mutant powers to reanimate dead tissue. Among these Undead was a mutant called Arcadian, who appears to be the son of Gambit and Rogue. It is never explicitly stated, but the circumstantial evidence is strong. Specificially, Arcadian has red eyes and wears a trench coat, and his speech is a combination of Cajun patois and Southern drawl. 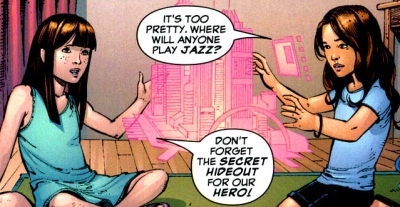 For instance, he calls Serpetina both sugah and chere in X-Men 2099 #27. Furthermore, he throws plasma-charged Death cards from the tarot deck, and uses a bo-staff with which to fight. (These cards are the reason why many fans refer to him as La Mort, the word being a mispelling of la Morte or Death). He also refers to having a "thieving father" in X-Men 2099 #29, which certainly suggests that he is Gambit's son. Arcadian was returned to death when Morphine Somers shocked Zail Haddad and broke the energy-link between him and the zombies. Without the Graverobber to keep them alive, the Undead simply collapsed. The X-Men proceeded to burn their bodies. That said, little information is given about Arcadian in life. In X-Men 2099 #28, it is explained that he died circa 2040, which would certainly put him in the generation after Gambit and Rogue. Moreover, in X-Men 2099 #27, Arcadian speaks about having fought Del Ruiz's X-Men. All evidence suggests that Del Ruiz was Forge, although he and his team never make an appearance in the series. Therefore, it seems logical to assume that Arcadian was a villian, although it must be noted that the Grave Robber could be manipulating his memories, as he did with Serpentina. His physical appearance is similarly uncertain. In death, as the picture suggests, he was a creature of darkness, who resembled nothing so much as Gambit's shadow. However, all the Undead were altered profoundly by their resurrection, so it does not follow that he looked like that in life. In the possible future presented in X-Men: The End, Gambit and Rogue have two children between them, a boy and a girl. According to Claremont, Olivier takes after Rogue more than Gambit. He seems to have a quick temper, and to enjoy fighting. Unlike his mother, however, he is more interested in the martial arts than in brawling. He shows the same finesse in fighting as Gambit. Neither child's power has been revealed yet, probably because they are still too young to manifest them. In Mutant X, Gambit and Belladonna, to whom he had remained married in that timeline, had a foster daughter by the name of Raven. Remy first met Raven when he was employed by Sinister to steal her and her twin brother from a facility. Sinister was only interested in the boy, who seems to have been a version of X-Man (Nate Grey), and ordered Remy to dispose of the girl. However, Gambit refused to do so and protected her with his life. Ultimately, Sinister allowed him to keep her, but warned him that he or someone even worse might reclaim her one day. Sinister's prediction came to pass when Belladonna's brother, Julien, betrayed the Guilds and led SHIELD, a mutant-hunting group in that timeline, to their hideout. In the ensuing battle, Belladonna was killed and Raven was recaptured. After that, Gambit joined the Six in order to try and get Raven back, staying only as long as it took to find her. 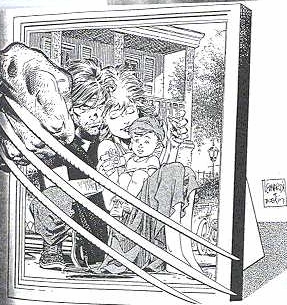 Included in the Ultimate X-Men anthology was a story by Stan Timmons in which Rogue imagined through the medium of the Danger Room what it would be like if she were married to Gambit and lived in middle-class suburbia. Charles LeBeau was their child in the simulation. As such, he's not real. If you wish to purchase this collection, it is available at most online bookstores. Its ISBN is 1572972173. It has nothing to do with the comic of the same name. The daughter of Gambit and Storm, Medea only appeared in one of the concept plots and sketches in one of the Millennial Visions, The Offspring. 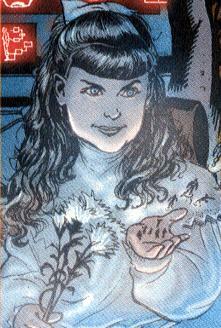 She is a member of an X-Team led by Kitty Pryde, and her mutant ability is to shoot rapid-fire chain lightning. That said, Medea is essentially a speculative, once-off character, and has no real significance in the Marvel Universe. Plague's genesis is a complicated one, and it is not certain if she is a child of Gambit's. 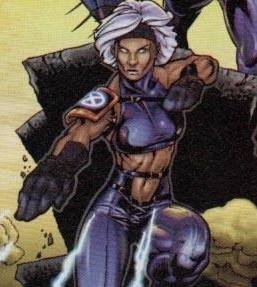 In one of the Millennial Visions, Rogue and Mystique were combined into a single entity. The younger Rogue part was with Gambit, while the older Mystique part was with Magneto. As such, Plague's father could be either Gambit or Magneto. Once again, as a speculative character, Plague can be more or less ignored. In one of the stranger Millennial Visions, which was intended as a spoof, Rogue had children with all of the X-Men, including Gambit. Obviously, this one is not meant to be taken as a serious descendent!